You scoped out your requirements for that new ITSM tool, created a comprehensive RFP, received and reviewed the proposals from several providers and selected the best possible product. You selected a great implementation partner and your project team is in place; you are ready to begin your implementation. But have you overlooked a key area that could prevent you from achieving the ROI you forecasted? Well, you may have if you have overlooked the need for Organizational Change Management. Now, you might be saying, “we aren’t changing our organization, just implementing a new tool and improving some of our processes.” Organizational Change is not about restructuring or reorganizing, it is all about changing the work habits and behaviors of the people in your organization. If you are implementing a new tool or improving processes, you are certainly making changes in these areas. A vision that provides a clear and simple picture of what the organization or system being changed will look like once the change has been completed. What do you want others to see or think when they look at your organization? You also need to provide them with a compelling reason to be a part of that vision. Sponsorship from the top levels of the organization exemplified by visible and sustained actions that show their commitment to the changes being implemented. Well defined Roles and Responsibilities outlining who will do what, when, and how. Not just in implementing the change, but once the change has been implemented. Stakeholder Management. It has been said, “You can forget about stakeholders, but they won’t forget about you.” And that may be true long after you are gone, which may be the case if you do not address their needs as part of the change. Effective Communication that begins with a comprehensive Communication Strategy and Communication Plan that details what needs to be communicated, who needs to do the communication, and how and when it will be done. To make changes you often need to give people the responsibility and authority to make changes while ensuring that they have the skills, education, and resources to make the change. Resistance Management. Resistance is inevitable, you must plan for it ahead of time to effectively deal with it and remove it when it occurs. Continual Positive Reinforcement. People need to be nurtured along in the change process. You need to find and celebrate quick wins, help them get over obstacles, and encourage them to move forward the same as you do a child learning to walk or ride a bike. 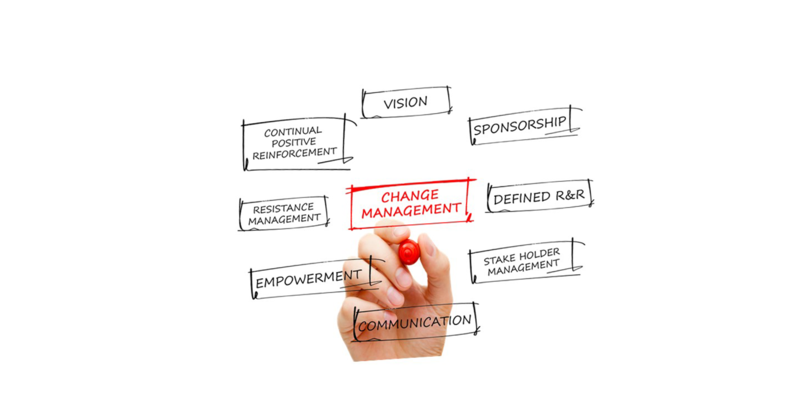 Effective Organizational Change Management requires a skill set different from Project Management or Technology Management. Recognize that this is an area for which you may need to provide training for, hire a trained individual or bring in outside consulting help. But, if you want to make the most out of your implementation and ensure the ROI you planned for, it will be well worth the added time and expense. Thank you, let me know if you have further questions.